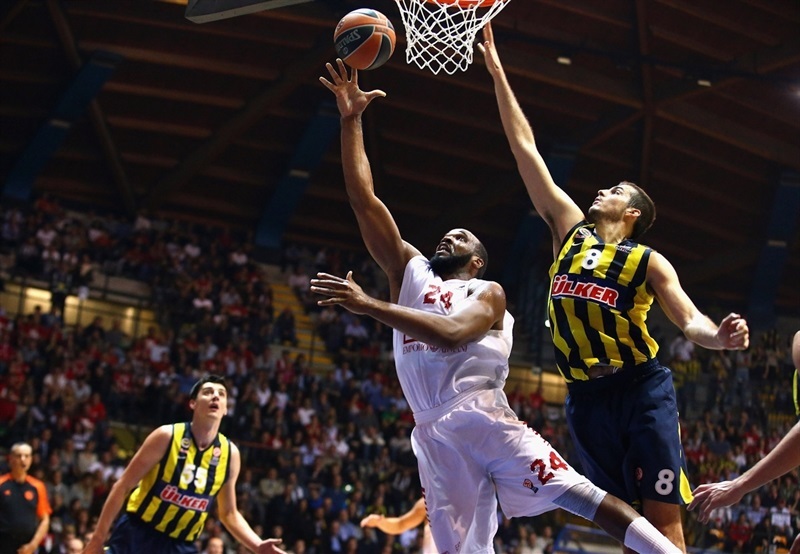 Fenerbahce Ulker Istanbul put itself in great position to reach the Top 16 by invading Milan and coming away with an impressive 74-80 road decision over EA7 Emporio Armani on Thursday. Fenerbahce needed great composure as Milan tried to rally late, and got it from Nemanja Bjelica, who had 6 points and a big defensive play in the final minute to seal the victory. 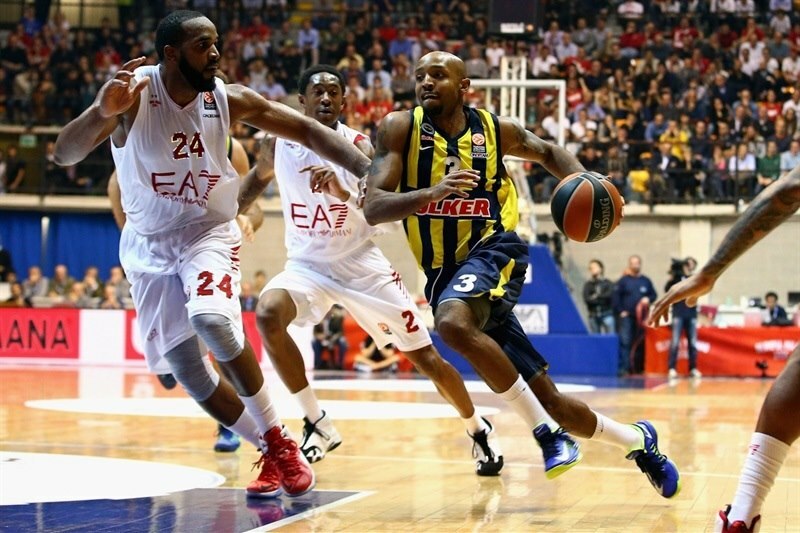 Fenerbahce raised its record to 4-2, maintaining its second-place tie with Panathinaikos Athens. Milan can still call all-important fourth place its own despite falling to 2-4. Milan's defense focused on denying the Euroleague's leading scorer, Andrew Goudelock, and indeed limited him to 5 shots, of which he hit all but one for 9 points. 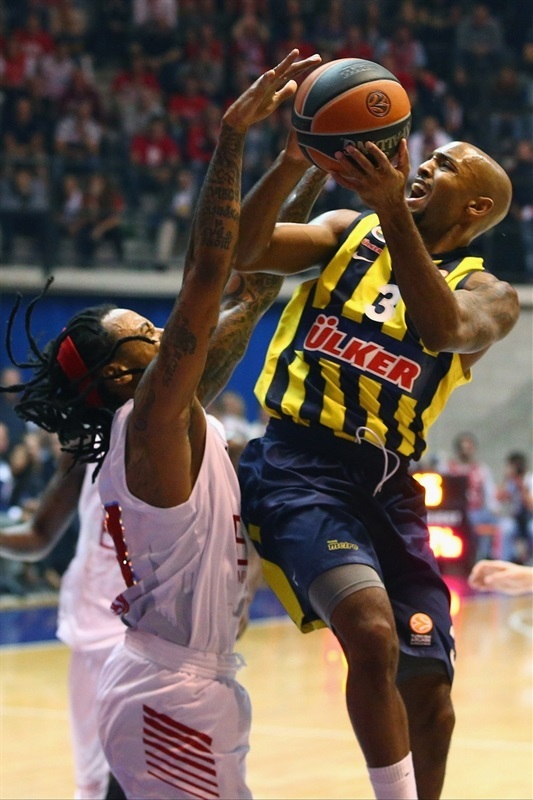 In the absence of his extra points, Ricky Hickman led the winners with 14, Semih Erden had 12 and 7 rebounds, while Bjelica scored 11 to go with 8 rebounds. MarShon Brooks scored all of his 17 points while trying to rally Milan from double-digit in the second half. The hosts got as close as 71-74 with 21 seconds left, but Bjelica and Hickman made 6 of 6 free throws after that to secure the win. Samardo Samuels had 13 points for Milan and David Moss 11, while Daniel Hackett added 9 and 10 rebounds. Alessandro Gentile scored 6 points in 15 minutes before halftime for Milan but didn't play the second half after suffering an injury. Bjelica waltzed for a layup while Linas Kleiza drilled a corner triple to get the scoring started. Bogdan Bogdanovic drilled a short jumper and Goudelock did the same as Fenerbahce moved ahead 3-6. Kenan Sipahi made an open triple, Fenerbahce's first, but Alessandro Gentile answered with his own plus the free throw that made it a four-point lead and a 7-9 score. Semih Erden's free throws were matched by a baseline jumper from Samuels. 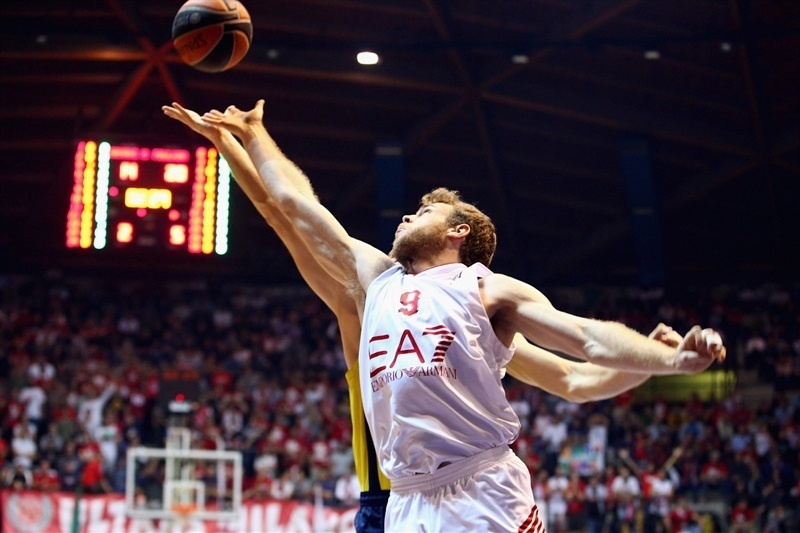 Again Milan's defense chased Goudelock and again Sipahi got an open triple. 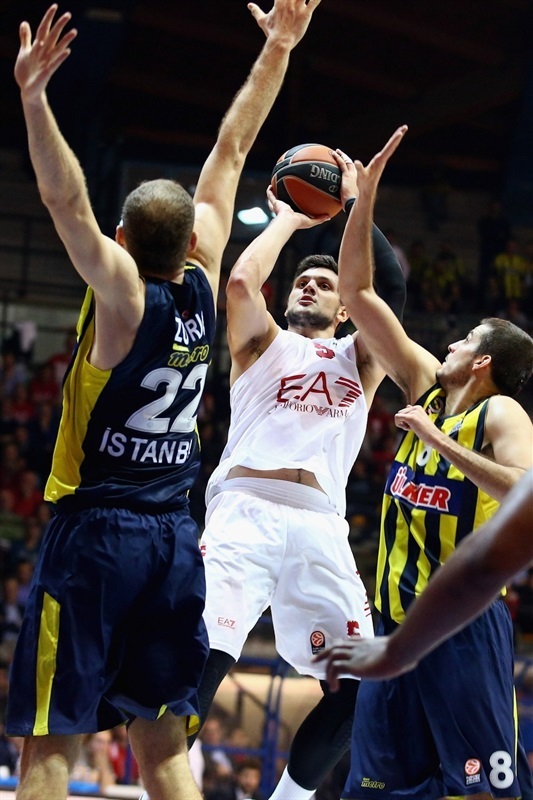 When Erden got out on the break for a dunk, Fenerbahce was ahead 9-16 and Milan needed a timeout. The hosts found Samuels for his second basket, but Goudelock answered from the baseline and Bjelica went the same direction for a slam to make it 11-20. Hackett got his first point at the foul line, where Nicolo Melli hit 2 of 2. A scoreless couple minutes passed before Melli drilled his own three-pointer and Moss followed him in transition to suddenly make it 20-21. Goudelock got a free throw before the quarter ended with Brooks finding Moss in the corner for his second triple in as many minutes. It fell just before the buzzer and was good for a new Milan lead, 23-21, after 10 minutes. 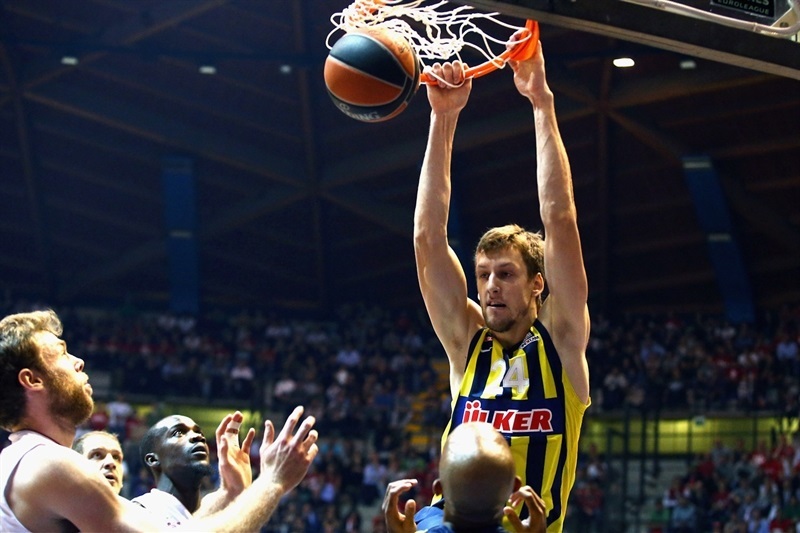 A free throw by Luka Zoric and a put-back dunk by Jan Vesely gave Fenerbahce the lead back quickly. 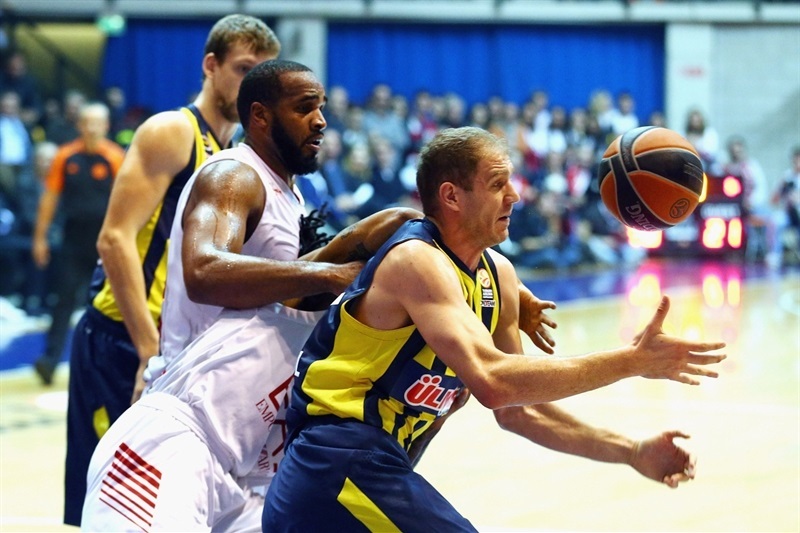 Vesely then added a jumper and Hickman joined the Fenerbahce scorers for a 23-28 advantage. Moss stepped into the breach then with his third three-pointer for Milan, but Zoric answered inside at 26-30. Next, Hickman sent a long alley-oop pass that Vesely slammed spectacularly, but it was worth the same 2 points that Samuels got in free throws at the other end. Vesely's next dunk, an even-better follow-up rim-rocker, was answered by Gentile with a jumper. But then Hickman stepped into the corner for a triple, matchinng the game's highest lead, 30-39. Free throws by Moss and a layup by Samuels cut the gap to 34-40. Bogdanovic returned with a jumper for Fenerbahce, but Kleiza did the same for Milan from longer distance at 37-42. Zoric was left open for an easy jumper and Milan missed twice before the buzzer as Fenerbahce stayed in charge, 37-44, at the half. A surprise three-pointer by Samuels, his first of the season, opened up the second-half scoring by drawing Milan within 40-44. Erden answered with a pair of free throws and later a tough shot inside to make it 40-48. Goudelock rained a long two-pointer for the game's first double-digit lead then fed Erden for a give-and-go dunk. Kleiza knocked down free throws, but when Milan tried full-court pressure, Bogdanovic punished it with a triple. 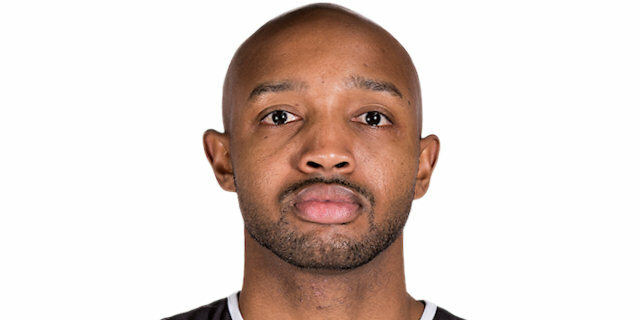 Brooks came on and answered from deep for Milan, then followed with a tear-drop from the lane to make it 47-55. A series of misses ended with Hickman swishing a triple that Brooks answered with a reverse. Bruno Cerella was given an unsportsmanlike foul for flopping that was worth a Hickman free throw for a new double-digit lead, 49-59. Goudelock hadn't shot a three-pointer all night, but chose the end of the quarter to start, and buried his first try before the buzzer for Fenerbahce's biggest lead yet, 49-62. Hackett's long assist to Brooks for a reverse started the final quarter. His follow-up of a miss cut the difference to single digits again, 53-62, and prompted a Fenerbahce timeout. Hackett then fed Samuels for a hook shot. 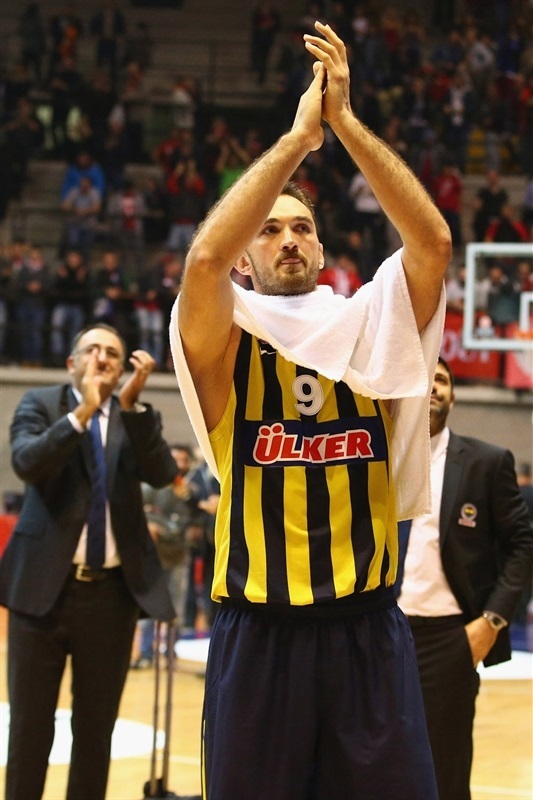 Emir Preldzic got open to respond for Fenerbahce with a triple that Hackett matched at the other end for a 58-65 score. Preldzic hit 2 of 2 free throws that Brooks copied. Then Samuels kicked out to Hackett for his second triple to make it 63-67. 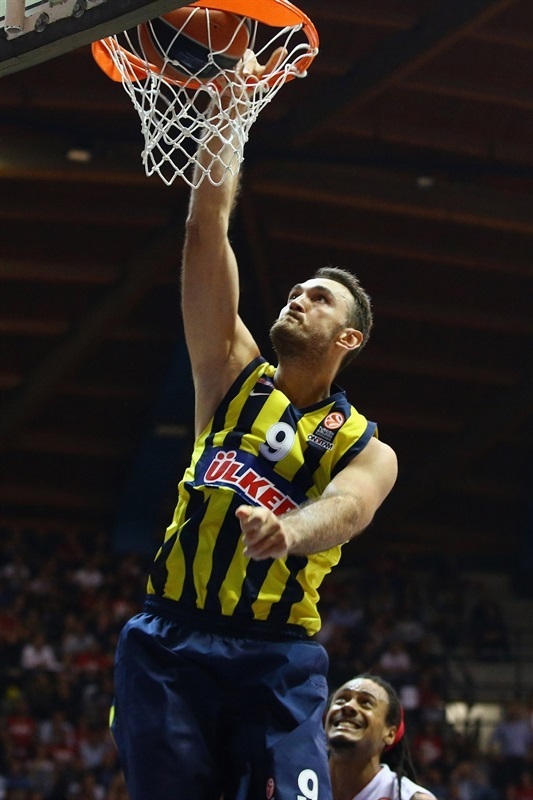 Erden stepped up for Fenerbahce by slamming an offensive rebound. When Hickman drilled a triple a minute later, it was 63-72, but Brooks made a stylish layup and Melli a free throw to lower the difference to 6 again with 3 minutes left. Brooks was perfect at the foul line to cut it closer, 68-72, setting up a big finish. Hackett's layup missed while Bjelica was sure going into the final minute, but Brooks contorted to make his own at 70-74. Cerella made just 1 of 2 free throws before Bjelica and Hickman shared 6 of 6 in the final 20 seconds to put the game away for the visitors. "We knew coming in that Milan was a tough team and were playing with their backs against the wall. We knew it would take a 40-minute effort. We made runs, they made runs, but I think we did a good job of keeping our composure down the stretch."